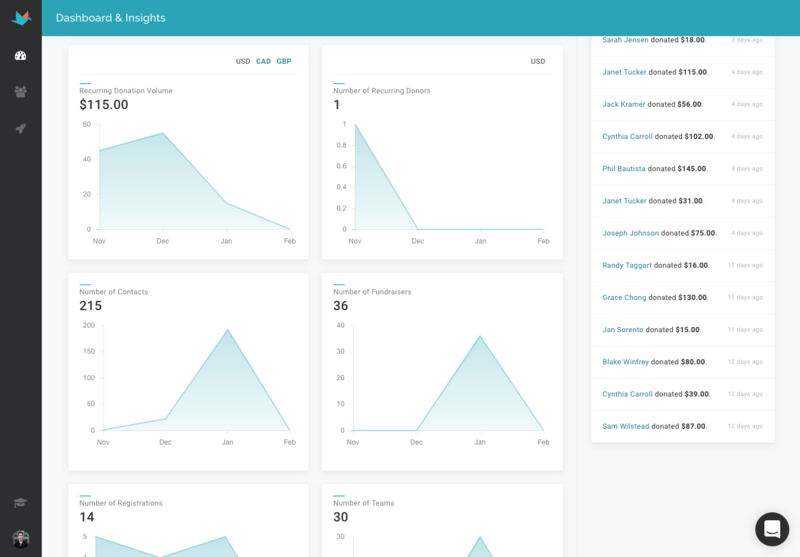 When you login to your CauseVox admin account, you’re automatically brought to your Insights dashboard. Your Insights dashboard helps you to visualize and monitor your fundraising performance and track the growth of your community in real-time. Graph with fundraising volume, broken down by total volume, online donations, offline donations, and tip. Graph with total number of donations, online donations, and offline donations. Should you have sites set up to different currencies, you'll be able to track volume by currency. Track overall performance, personal fundraiser growth, and recurring donors with ease. 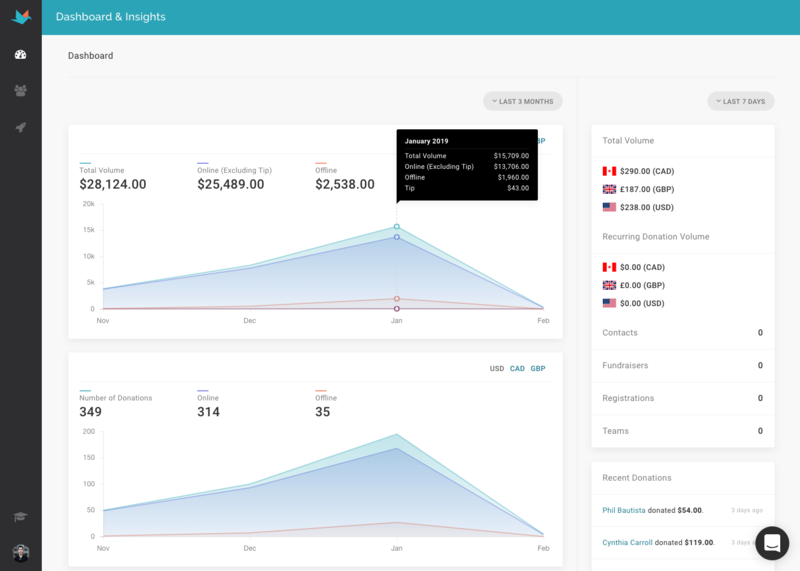 The Insights Dashboard also makes it easy to share your fundraising results and growth with your entire team and board in one easy-to-understand snapshot, and uncovers the data you need to make decisions that will help you grow.